My great-grandmother was named Grace. She was the oldest of nine children, born in 1884. She was of Irish-German descent, her mother having defied her Irish family to marry a German Anabaptist. Her mother was disowned because of that action and for the rest of her life, only had contact with a single sister. Grace’s youngest sister, Myrtle, was only a few years older than my grandmother. I met her a number of times, but it took a long time before I understood how she was related to me. I do not think my great-grandmother had a very happy marriage, but the family members who knew her remember her as a warm and gregarious person, always helping out others, and being close to her parents and siblings. Her cooking was superb and her nieces and nephews (still living) remember what a treat it was to eat a meal she cooked. In her later years, Grace lived with my paternal grandparents, next door to my other grandmother. My mother remembers her having Himalayan cats and how she loved visiting over the fence while hanging out laundry. 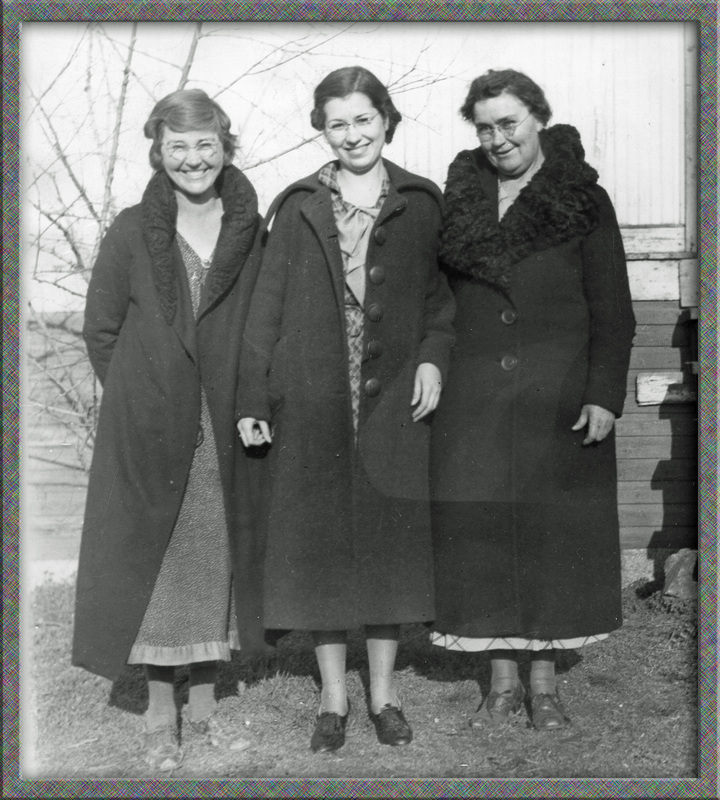 Here’s an undated picture of my great-grandmother with her niece Edna on the far left, and a friend of Edna’s in the center. Word for tomorrow – RIVAL. If you prefer to work ahead, see the list for the week under “A Word A Day”. Another wonderful old photo, really beautiful women. Thank you! They were “good folk” and enriched the lives of many other people. I love your historical postings. Thanks Trisha! This one was a little harder, but I couldn’t resist talking about her since her first name was the randomly chosen word for the day.